A self-contain input beam adaptable module to easily convert a laser beam to an uniform Top Hat profile. 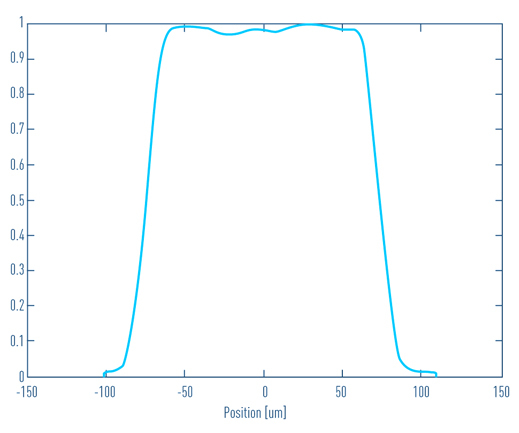 Osela’s Top Hat Module efficiently transforms a freespace laser beam or laser beam from a fiber into a uniform slow varying profile with no high frequency noise. 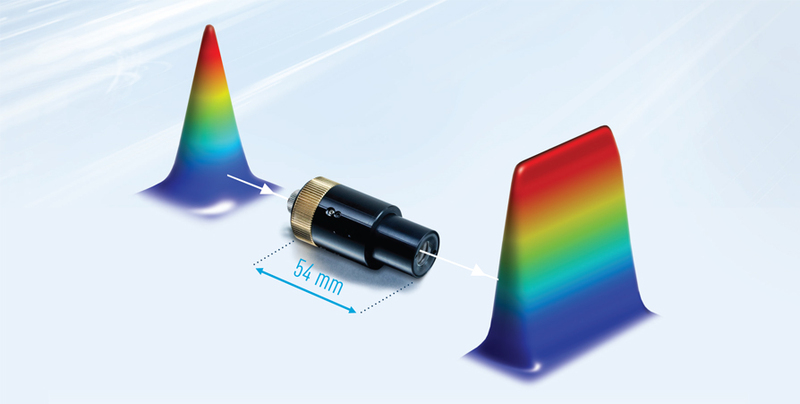 The Top hat module is based on all glass optics providing a Top Hat profile at the focal plane of an imaging system. 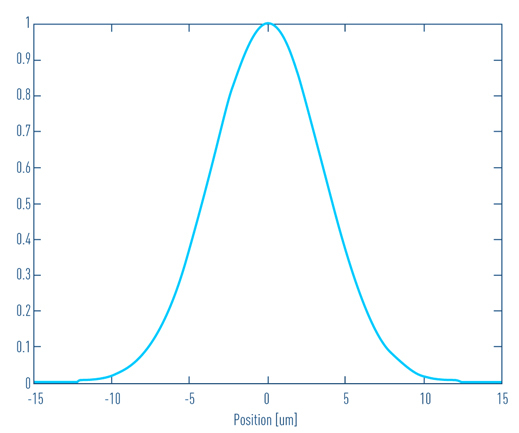 Where F is the focal length and K is a constant for specific Top Hat model. It can be offered with an internal imaging lens (model ITH) or without (model TH) to be used with an external imaging lens system (i.e. microscope objective).